37267 arrives at its destination with 1K62, the 1650 from Liverpool Street. 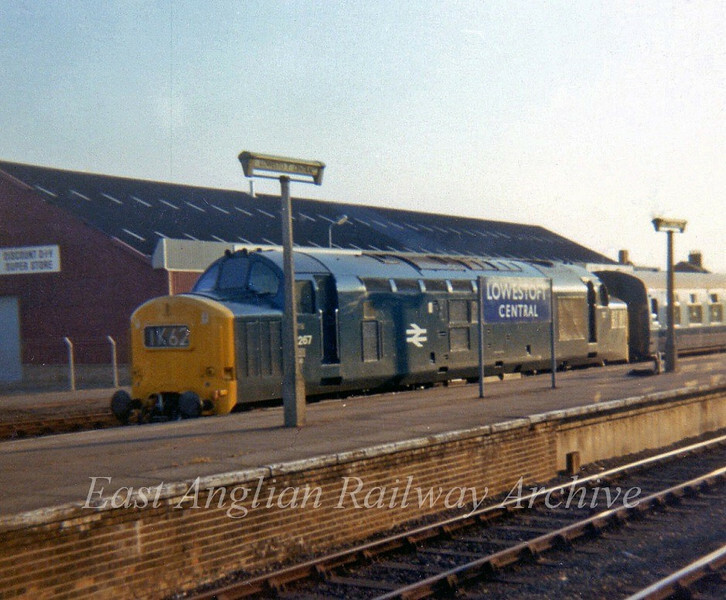 The blue running in board still showing Lowestoft Central to differenciate it from Lowestoft North. June 1975. Taken with my trusty Instamatic which is all I had at the time.